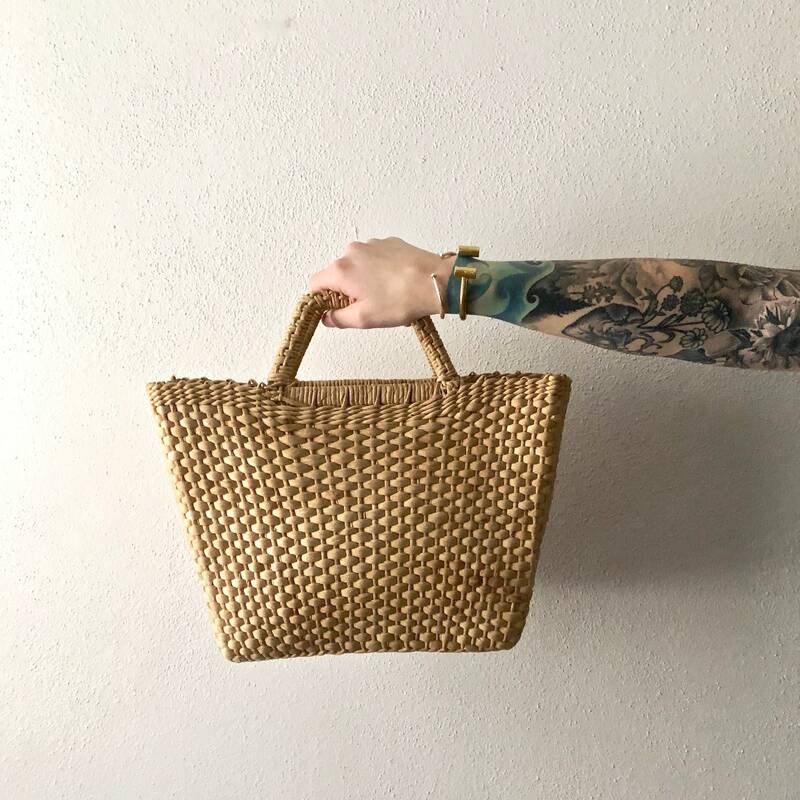 Your perfect market tote is here! 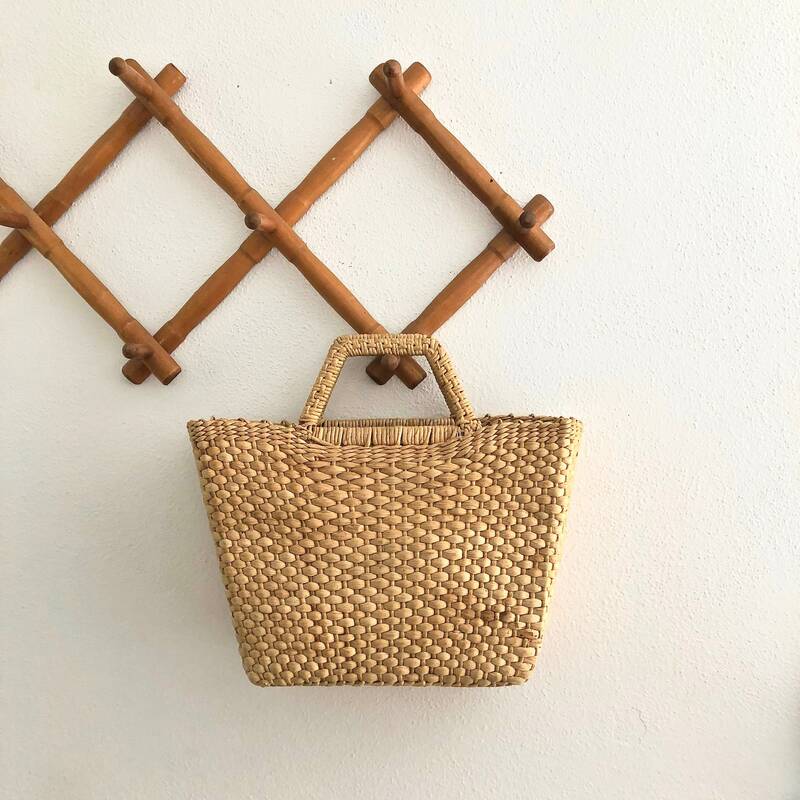 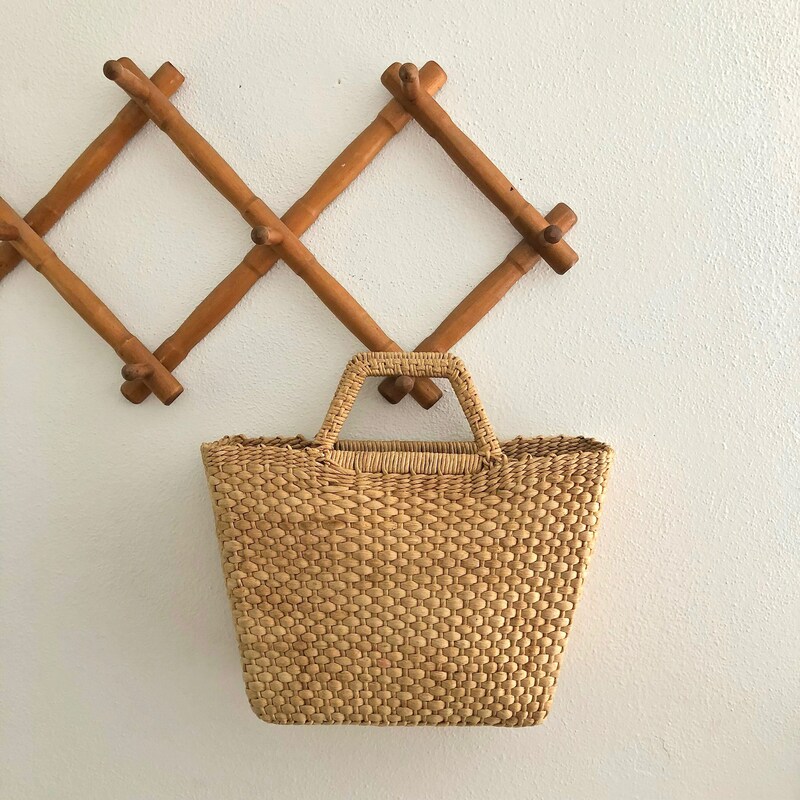 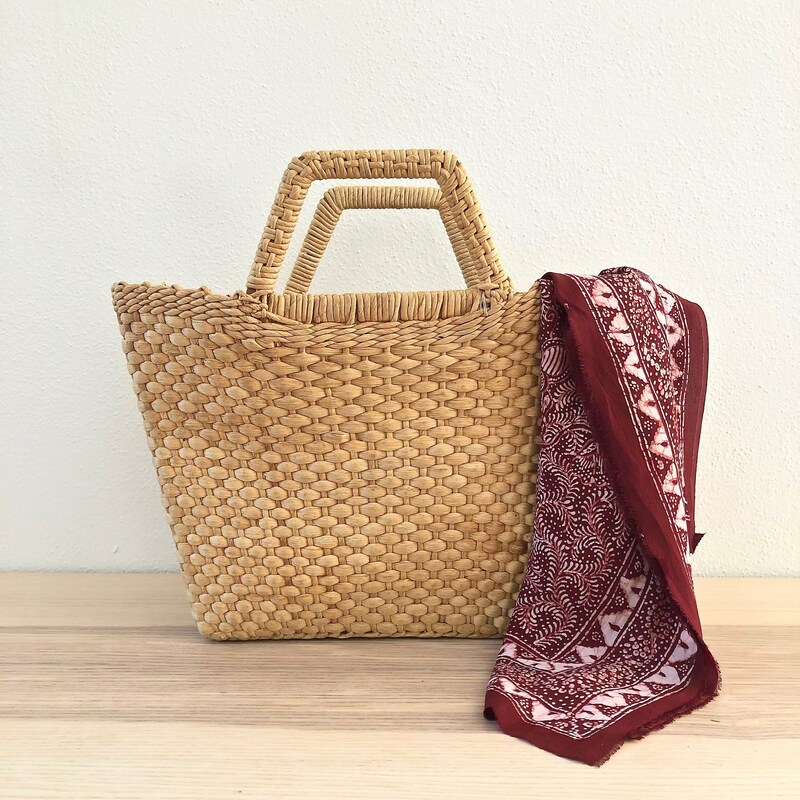 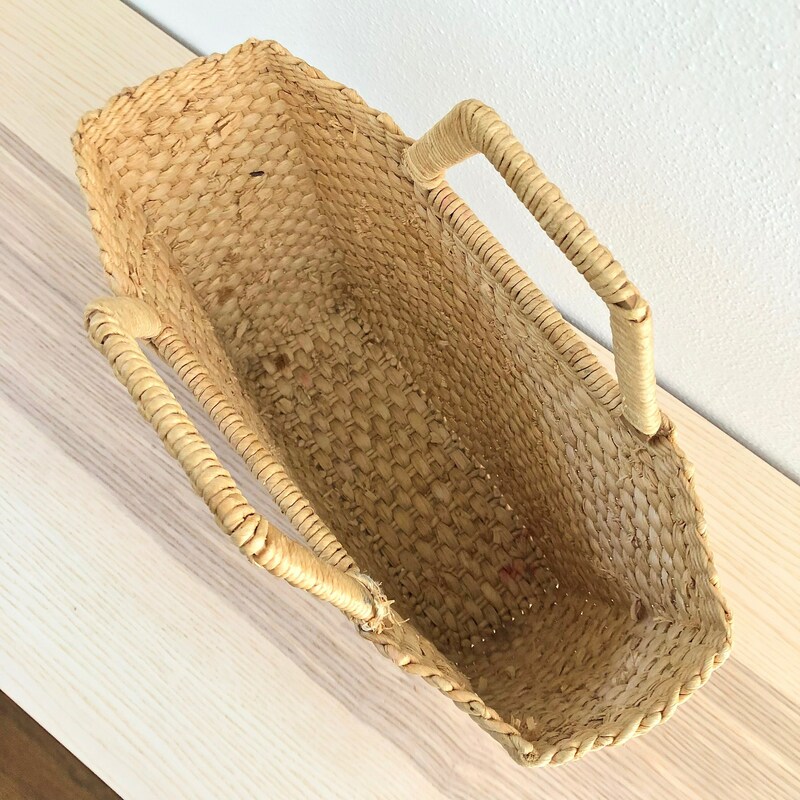 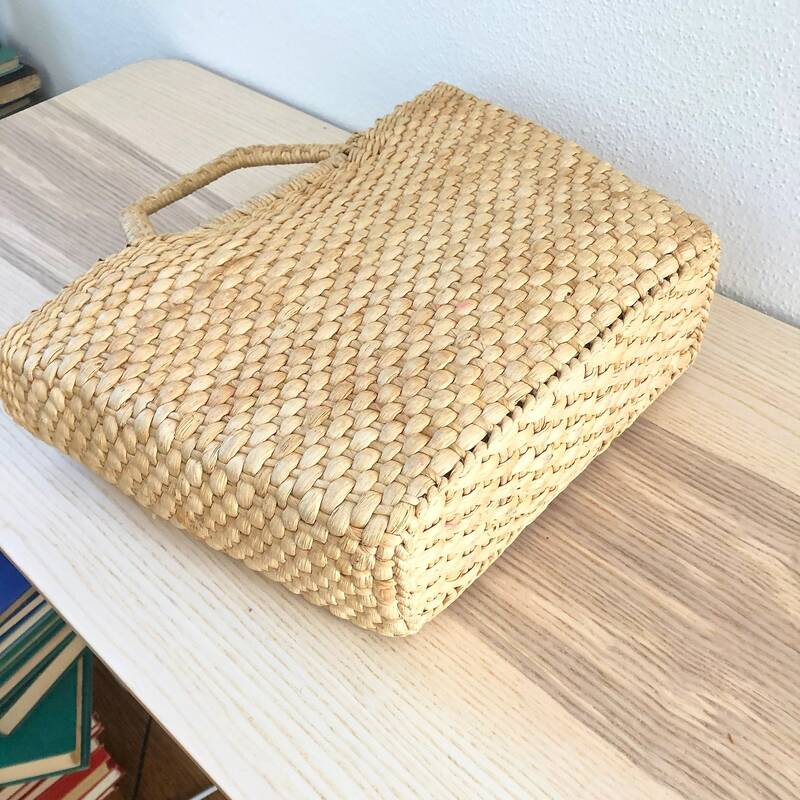 This woven raffia / straw handled bag is the perfect size for a trip to the market, or spending an afternoon on the beach. 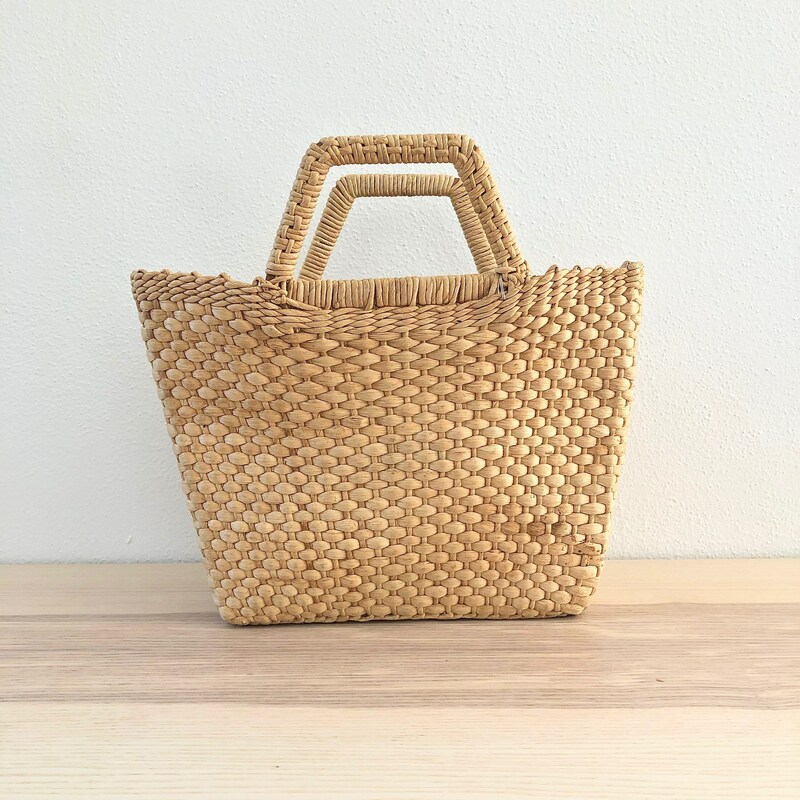 This smaller version of tote, has sturdy wooden handle wrapped in raffia. 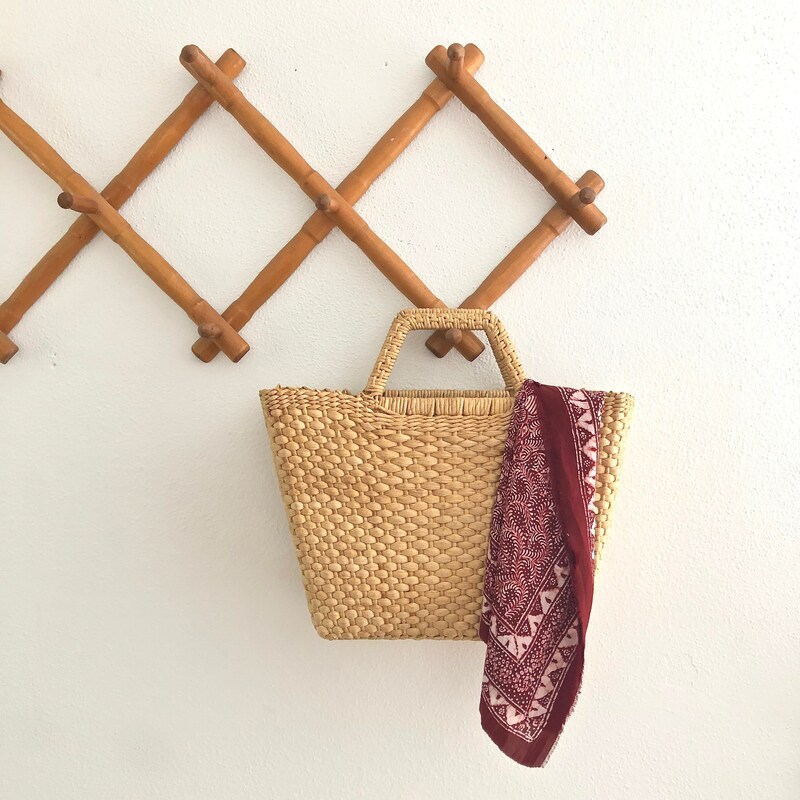 In very nice vintage condition with just a few areas of light pink usage staining.